temperature and precipitation over the Mediterranean region. Present and future climatic conditions"
She holds a BSc in Geology and Geoenvironment , an MSc in Geography and Environment, an MEng in Water Resources Science & Technology. and data assimilation through numerical weather prediction models’ simulations". He holds a BSc in Geology and Geoenvironment and an MSc in Applied Meteorology and Climatology. 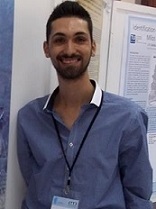 He has worked abroad as a research engineer/meteorologist in the research department of a renewable energy company, for 2 years. 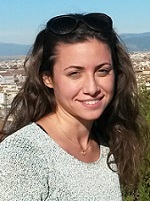 Konstantina (Nandia) Politi Nadia is a PhD student in the department of Geology and Geo-environment at the National and Kapodistrian University of Athens in collaboration with NCSR “Demokritos” . She holds a Bachelor Degree in Physics (2007) and an MSc in "Prevention and Management of Natural Disasters". 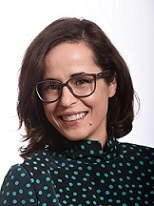 She has worked in several european projects on the topic of climate change, climate modelling/simulations and downscaling methods. Yota Assimakopoulou Yota is a PhD Candidate and she is working on the "Pedagogical approaches for understanding Climate Change and the accompanying phenomena through remote sensing, in compulsory education"
resolution remote sensing data for detecting and simulating morpho-structures”. He holds a BSc in Geology and Geoenvironment and an MSc in Environment and Development. to identify impacts of climate change on vital sectors such as energy demand and forest fires. She holds a BSc in Geology and an MSc in Environmental Physics.